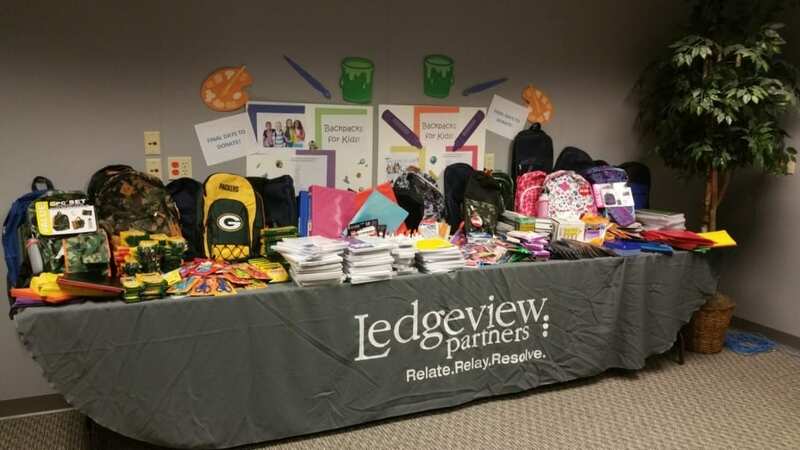 Entering into its third year, Ledgeview Partners has officially kicked off their ‘Backpack for Kids” fundraiser to provide school supplies for children in need in the Fox Cities region in Wisconsin. If you have school age children or have been inside a big-box retailer lately, you understand the large amount of supplies that are required each year. Beyond backpacks, pens, pencils, crayons, folders and notebooks, there is a great need for new clothing for these kids to start each new school year. This year, Ledgeview is working with a local non-profit organization; Community Clothes Closet who is able to help distribute the donations, including school clothing, that has been collected to children and families in need. “A key part of the culture here at Ledgeview is the desire to give back to our community and support those in need. We want to ensure that each student has the same opportunity for success” states Chad Collett, Director of Marketing at Ledgeview Partners. 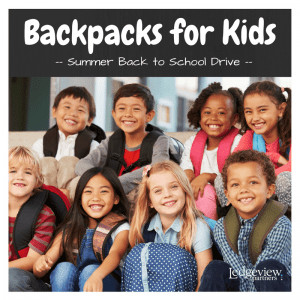 All school supplies are being collected at Ledgeview’s Corporate Offices at 14 Tri-Park Way, Building 1 in Appleton, WI and will be delivered to Community Clothes Closet on August 25th for dispersal to children before the start of school.